Let us look at time in a different manner. 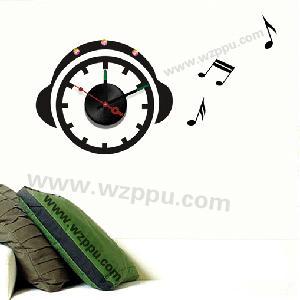 This wall sticker clock looks great in any room and it accentuates the space as well as any design.These highly decorated wall decal clocks are easily removed and moved to any spot you want. Copyright©2012CangNan XinMao Paper Products Co., Ltd. All rights reserved.